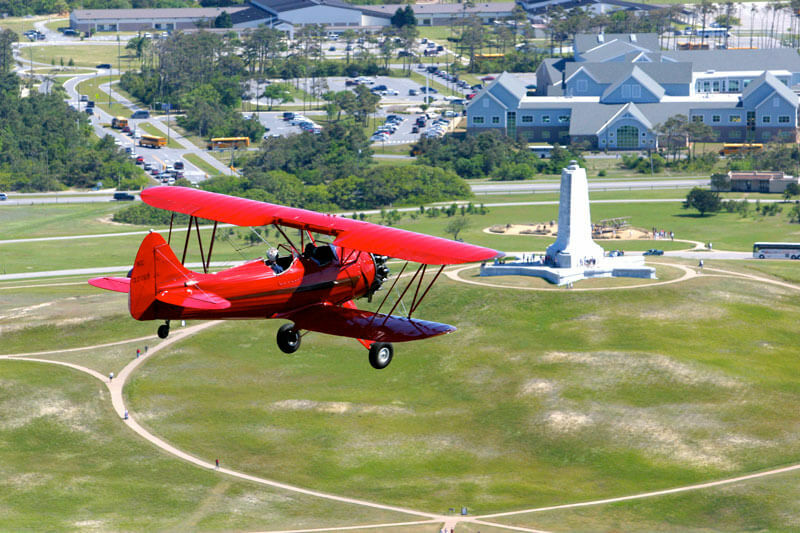 Barrier Island Aviation: See dolphins, sea turtles, shipwrecks, the Wright Brothers Memorial, Bodie Island Lighthouse and other popular attractions from a new perspective! 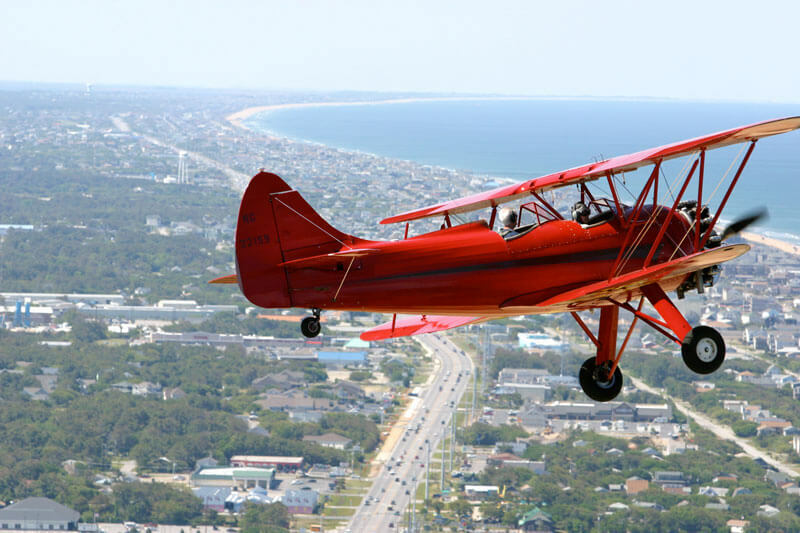 Soar over the Outer Banks in a 1942 open-cockpit biplane, Cessna 172 or Cessna 206, accommodating up to five passengers at a time. 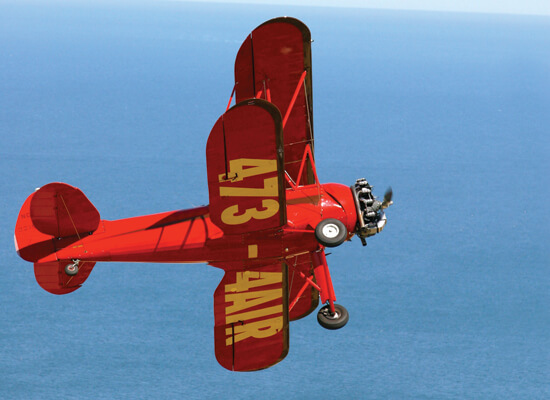 The absolute best way to view the magnificent beauty of the Outer Banks of North Carolina is from our big red biplane! 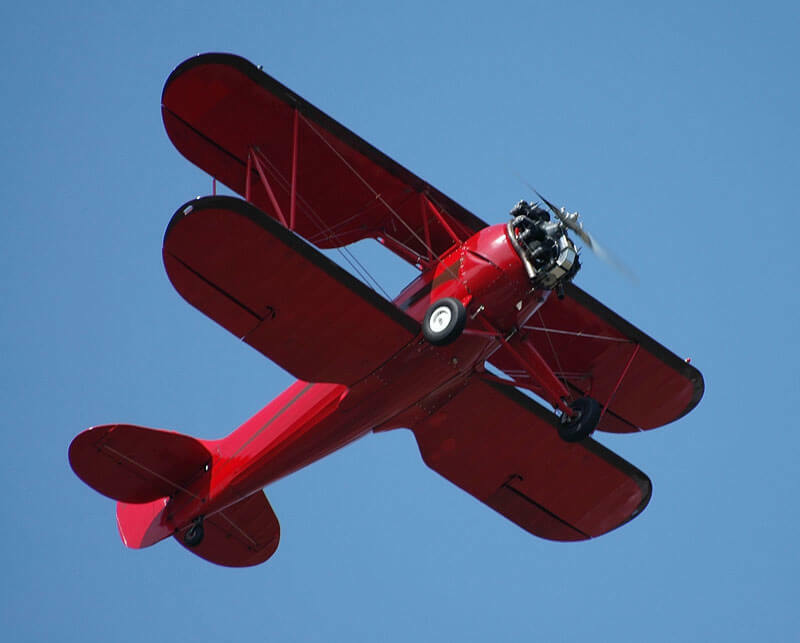 Flying in this vintage aircraft is truly an unforgettable experience. -Seats up to two passengers in front of the pilot. -The open-cockpit aircraft is one of the original WWII trainer biplanes built by Waco. 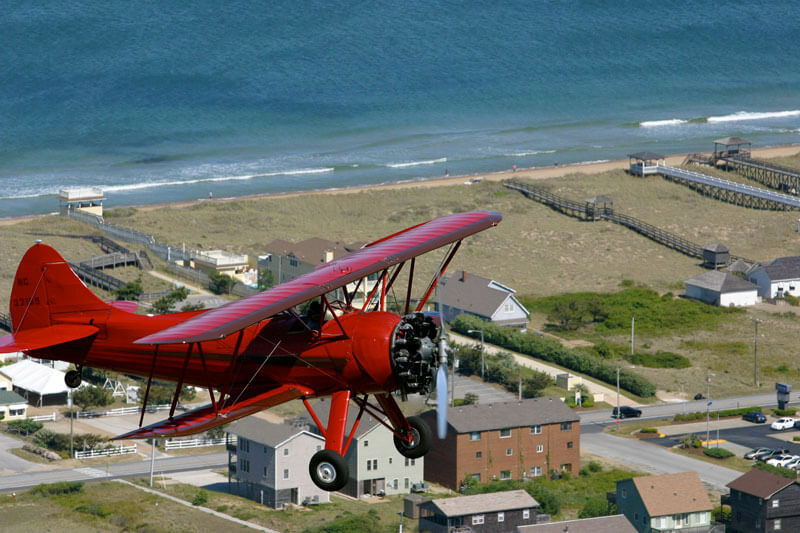 -Offering customizable flights of up to 35 minute with amazing views of the Outer Banks. -Seats up to three passengers. -High wing aircraft for optimal views. -Offering 10 minute, 30 minute, or one hour flights. -The only high wing five passenger aircraft on the OBX. -All seats face forward for optimal views. -Offering 30 minute or one hour flights. Barrier Island Aviation’s red biplane is an open cockpit Waco UPF-7, affectionately referred to as “Big Red.” It rolled off Waco’s assembly line on January of 1942 and was given the tail number “NC32159.” She is a true antique, so head out to Manteo to experience the golden age of aviation for yourself with a ride over the beautiful Outer Banks of North Carolina. Barrier Island Aviation also offers chartered flights, flight instruction and aircraft maintenance. Turn a three-hour drive into a short flight. Hitch a reliable ride straight to your destination whether it be Hatteras, Ocracoke, Manteo, Norfolk, Richmond or Raleigh. They are conveniently located at the Dare County Regional Airport in Manteo, NC on Roanoke Island.